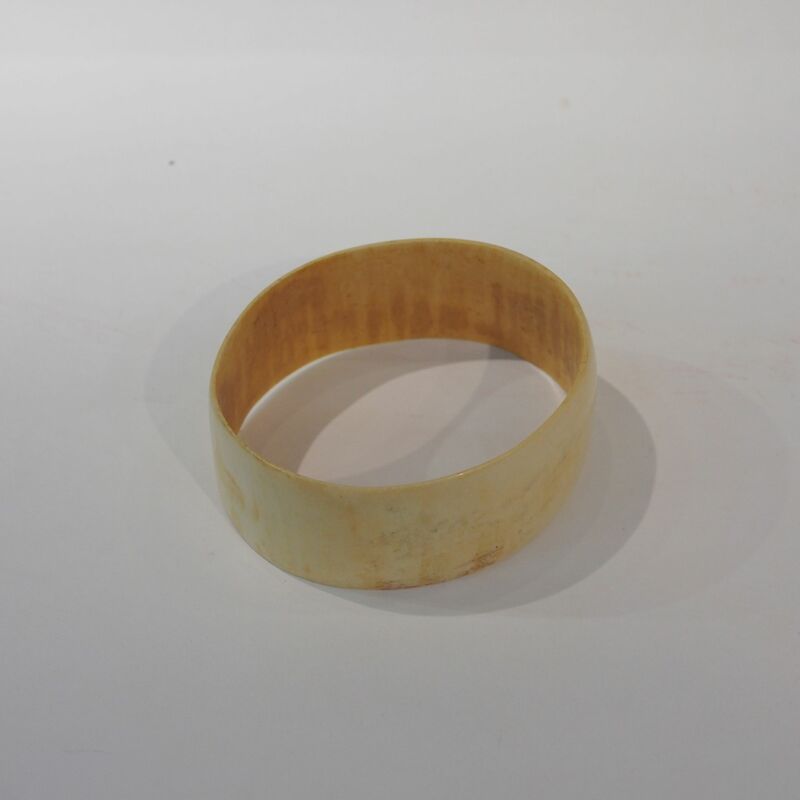 This old ivory bangle is likely to be one from the Rajasthani tribes; traditionally married women would wear a set of bangles, ideally 17 on the upper arm and 9 on the lower arm (a total of 52 bangles!) These bangles are to be worn throughout their entire married life and believed to have magical powers to protect them from the evil eye. Due to the price and elephant protection, Lac (lacquered) bangles has became one of the alternative jewellery. The bride will receive one ivory bangle from her mother’s family, normally from her uncle, otherwise from her parents. Without the bangle the Saptapadi ceremony cannot be performed. In the movie Saptapadi the engagement bangles has became a sort of handcuff for the heroine. To see the scene fast forward to 1hr11m20s.